Medical errors are the third leading cause of death, after heart disease and cancers. When doctors, nurses, or healthcare professionals make mistakes, the results can be catastrophic and life-threatening. Medical errors, surgical mistakes, and medication errors can put your life in jeopardy or cause lifelong pain and suffering. Doctors and healthcare professionals are held to the highest standard of care and when they deviate from that standard, they can - and should - be held accountable. At Corsiglia McMahon & Allard, LLP, we’ve been standing up for patients’ rights for over 2 decades. Our law firm has successfully helped numerous patients seek justice after they’ve suffered harm due to medical negligence. We have obtained large malpractice settlements for our clients, including a $6.5 million award for a 37-year-old man who suffered severe brain damage after doctors failed to accurately and efficiently diagnose his herpetic encephalopathy. Our medical malpractice team, led by founding attorney Bradley M. Corsiglia, has achieved unparalleled success throughout California. Recognized by U.S. News & World Report as one of the best medical malpractice law firms in the country, Corsiglia McMahon Allard, LLP continues to lead the way in medical malpractice litigation in California. Together, Attorney Corsiglia and his team have prevailed over major healthcare providers in California, including Kaiser Permanente, Catholic Healthcare West which is now known as Dignity Health, Apria Healthcare, Dominican Hospital, the Palo Alto Medical Foundation, and Stanford University Medical Center. When you’ve been injured because of a medical error or healthcare professional’s negligence, you may be fighting an uphill battle against large hospital insurance companies, medical institutions and drug manufacturers. Our lawyers have assisted patients and families in cases that other law firms shied away from because we believe in holding negligent medical institutions and healthcare providers responsible, and we believe in justice for all. Anesthesiologists use anesthesia to slow the patient’s body functions to help a patient become unconscious, thus eliminating any pain sensations during a medical procedure. A recent study estimates that each year, 40,000 patients that undergo anesthesia fail to lose consciousness, resulting in the patient being wholly conscious but paralyzed during the procedure. Victims of anesthesia awareness frequently suffer from post traumatic stress disorder (PTSD) after the experience. If you lost a loved one or have experienced trauma due to the negligence of an anesthesiologist, turn to the law firm of Corsiglia, McMahon & Allard. Our experienced medical negligence attorneys know how to hold responsible the parties who caused your injuries. The long-term outcome of a birth-related injury often depends on the type of injury experienced. For example, an abrasion caused during delivery is likely to have a positive long-term prognosis, but infants who experience soft tissue injuries to the scalp may experience serious complications. In some cases, birth injuries may even result in fatality or life-long disability. If your child experiences a birth injury, it is important that you speak with the doctors to determine what the outcome for your child might be. There are numerous causes of traumatic brain injury in adults. The highest percentage of TBIs generally are sustained in falls. Other common causes include auto accidents. In a medical setting, brain injuries are most often caused by hypoxia, or oxygen deprivation. If a doctor or other medical professional is not careful, hypoxia can occur due to a number of conditions, including anesthesia and medication errors. At Corsiglia, McMahon, & Allard, L.L.P., we have assisted countless victims and families of brain injuries, and have been successful in pursuing actions against negligent medical professionals for brain injuries. Misdiagnosis is a common problem in the U.S. medical system, with as many as one in five cancer cases misdiagnosed yearly. This figure includes both those whose cancer goes undetected and those who are told they have the condition and actually do not. For those who are told they have cancer and do not, this can lead to significant emotional damage, as well as the possibility of having to undergo aggressive treatments such as radiation therapy. Meanwhile, those whose cancer goes undiagnosed may be cheated out of valuable time spent with their loved ones. The main question in any medical malpractice case is whether or not the standard of care has been violated. In California, there is a very specific standard set out for medical professionals to follow - namely, that they must use the same degree of “skill, knowledge and care” in diagnosis and treatment as would any other doctor with similar ability and experience. When doctors deviate from the standard of care, serious and even life-threatening injuries can and do occur. Common examples of doctor malpractice include Common examples of doctor malpractice include misdiagnosing or failing to diagnose a serious disease or illness, failing to provide treatment in a timely manner, and prescribing the wrong medication or the wrong dosage. If you think that your doctor has made a mistake due to negligence, you may have grounds for a medical malpractice lawsuit. An experienced medical malpractice lawyer at Corsiglia, McMahon & Allard can help you review your case and determine if you should proceed with a lawsuit. Even though hospitals should be one of the safest places you can be, they are often not. Hospital errors are considered the third leading cause of death, right behind heart disease and cancer. According to reports, as many as 440,000 patients die each year because of hospital errors, injuries, infections, and accidents. Your medical care team has a responsibility to make sure that precautions are being made to protect against mistakes that are most definitely preventable. Mounting a medical malpractice lawsuit is difficult, but it can be made easier if you have knowledgeable legal representation provided by the law firm of Corsiglia, McMahon & Allard. Kaiser Permanente requires that all medical malpractice claims be settled through the arbitration process. In arbitration, one neutral arbitrator will hear both sides of the case and determine the outcome, rather than a jury. When entering arbitration for medical malpractice with Kaiser Permanente, it is extremely important to have an experienced attorney on your side who understands the arbitration system and can help you receive the maximum compensation. 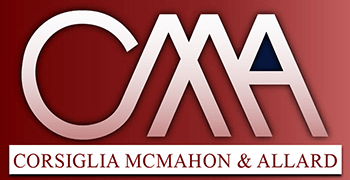 The San Jose medical malpractice attorneys of Corsiglia McMahon & Allard have helped numerous clients receive compensation, allowing them to recover from their medical malpractice injuries. A common medical mistake that impacts the lives of patients and their families is a misdiagnosis or delayed diagnosis. Reports indicate that most Americans will receive a misdiagnosis or delayed diagnosis at some point in the lifetime. Consult with one of our experienced medical malpractice attorneys to learn about your legal rights if the delayed diagnosis or misdiagnosis leads to a worsening of your disease or health condition. According to researchers, about one in ten of all surgical patients will get an infection while one in six will suffer from some type of surgical complication. Surgical errors may occur because surgeons are overworked or inexperienced, or because of poor communication between the surgical team and other health professionals. No matter the cause, we are dedicated to holding the responsible parties liable. Our medical malpractice attorneys prepare every case as if it is going to trial. This allows us to fight aggressively and pursue maximum compensation for our clients. As skilled and experienced litigators, we don’t shy away from the tough fight because we know how to win. We hold negligent hospitals and medical institutions accountable, and we aren’t afraid to take them on in a courtroom if necessary. We invest the resources, time, and effort needed to win your case and recover the money you deserve. Medical malpractice claims are difficult to prove and even harder to litigate. That’s why you need a law firm on your side with a proven track record of success and one that isn’t afraid to take large medical institutions to court on your behalf. We’ve earned the insurance industry’s respect and insurance companies know we aren’t afraid to go to court. That enables us to seek maximum compensation for our clients and their families, and achieve more favorable results. At Corsiglia McMahon & Allard, LLP, our team of medical malpractice lawyers have a proven track record of success litigating on behalf of injured patients and their families. Some of our most notable cases involve failure to diagnose cancers and cardiac medical malpractice. We won a $3 million case of medical malpractice for a family whose baby suffered brain damage at birth as a result of medical negligence. We also won a $4 million settlement on behalf of a woman whose cardiac rhythm disorder was misdiagnosed, resulting in cardiac arrest and severe brain damage. We’ve also helped grieving families hold negligent doctors, medical professionals, and hospitals accountable after the death of a loved one due to medical malpractice. When insurance companies refuse to settle these cases appropriately, we fight wrongful death claims aggressively in court. For example, we helped recover $1.5 million for a family whose father/husband died after medical professionals failed to monitor his cardiac condition properly. If you or someone you love has suffered a medical injury and you believe that medical malpractice may be to blame, it is important to immediately discuss your case with one of our experienced medical malpractice lawyers. With seven attorneys, and a team of experts and support staff, you can rest assured that you are being represented by one of the premier law firms in the San Francisco Bay Area. To learn more about how we can assist you after a medical injury, call us at (408) 289-1417 to schedule a free consultation. One of our attorneys will meet with you personally to review your case and help you choose the legal option that is best for you and your family. Our firm handles medical malpractice cases throughout Northern California. My experience with Attorney Brad Corsiglia during my recent medical malpractice case was nothing short of amazing given the very stressful circumstances. I was fortunate to find Brad highly recommended from a mutual contact and from the very beginning of the process, Brad was truly engaged and knowledgeable in understanding my case and providing input on what avenues were available to me. Michelle M.
Bradley M. Corsiglia has been honored by both his colleagues and major national publications for his outstanding work as one of the leading medical malpractice attorneys in California and in the United States. Throughout his 30 year legal career Mr. Corsiglia has made his mark as a leading trial lawyer by combining his advanced courtroom skills with hard work and relentless dedication. How do I Know if What Happened to me was Medical Malpractice? How do I know if I Have a Good Case? Fill out the contact form or call us at (408) 289-1417 or (408) 298-7200 to schedule your free consultation. No solicitations, please.